DRFortress, Hawaii’s leading colocation and cloud services provider, today announced that it has launched “DRFcloud,” which it says is the first local, pay-as-you-use, cloud computing services based in the state. This new service, offered in partnership with Appcore, follows the successful start of the Nirvanix cloud storage service and is available to Hawaii customers as well as clients throughout the Pacific Rim. Both the “DRFcloud” and the Nirvanix cloud storage hybrid node are maintained at the DRFortress datacenter in Hawaii with redundant mainland nodes for disaster recovery purposes. “Previously, Hawaii organizations interested in pay-as-you-use cloud computing were forced to use a Mainland provider, buy hardware boxes, and pay maintenance fees or commit to a long term contract with a local virtualization firm,” said DRFortress president Fred Rodi. 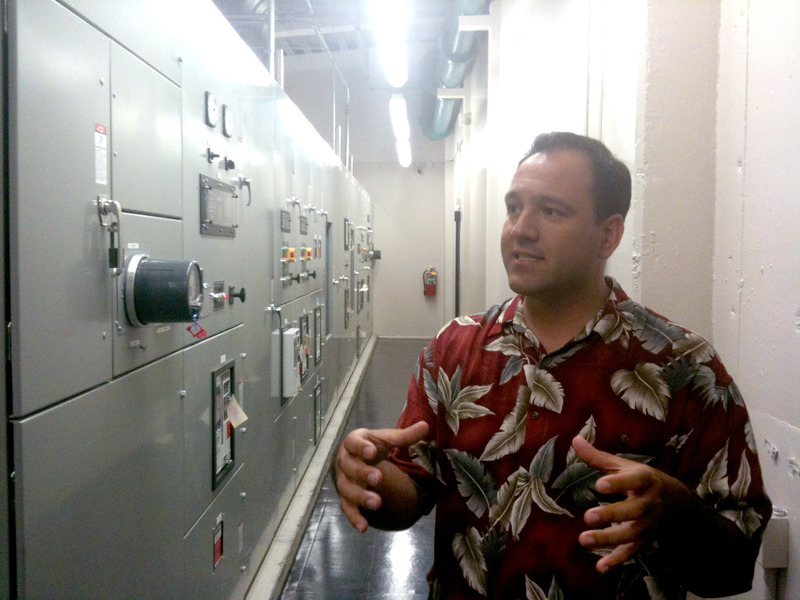 “With our new DRFcloud computing service, we have revolutionized Hawaii’s cloud market by introducing no contract, pay-as-you-need, on-demand utility computing. The company says that cloud computing is the most significant advancement in information technology today, noting that leading industry analysts say the size of the cloud computing market is expected to be $150 billion by 2013. To gain significant share in this market, DRFortress is employing industry-leading technologies in the new DRFcloud service. With this service, DR Fortress says, entities of all sizes can implement their own private networks using virtual servers with nothing more than a few mouse-clicks. And companies can self-provision this new service instantaneously online through the DRFortress secure management portal at www.drfcloud.com. Security is often mentioned as the number one issue holding businesses back from moving to the cloud, but DRFortress addresses this concern by selecting technologies and partners who are able to deliver enterprise-class security and reliability proven in real-world production environments. In addition to DRFortress’ secured datacenter, the company’s partners—Nirvanix and Appcore—have extensive processes and architectures in place to meet customers’ regulatory and business needs. DRFortress is the largest and the only carrier-neutral datacenter and cloud services provider operating in Hawaii. Based in Honolulu, DRFortress provides network neutral colocation and cloud services to enterprises, content companies, system integrators, carriers, wireless service providers, cable companies and ISPs. The mission of DRFortress is to manage and maintain world-class facilities and cloud service offerings so that customers can focus on their core business. To learn more, visit www.drfortress.com. Appcore is a global cloud computing infrastructure provider with over 20 years of experience in the software industry. Appcore technology includes a suite of products that produce a private cloud computing platform, which ensures customers receive the solutions needed to meet growing business demands. Appcore technology includes a private cloud computing platform, global Appcore Cloud Network, Appcore Second Site for disaster recovery, and Appcore Cloud Onsite, which allows enterprises to run the platform behind its firewall or in any of Appcore’s global clouds. To learn more, visit www.appcore.com.